Adjustable strings and an extra thick wooden sound port ring for bass compression gives the Cantina Line a wide dynamic range of highs and lows. 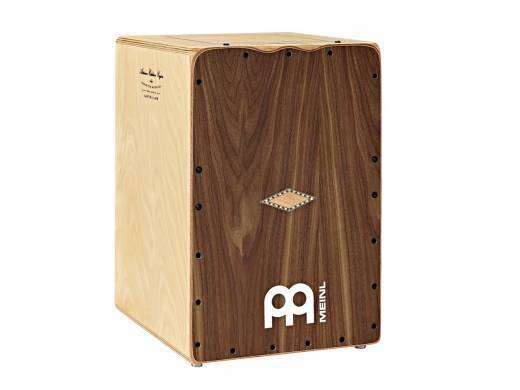 Two sets of eight micro-coiled metal cajon strings give a snapping snare effect and are adjustable with the included tuning key. The 9-Ply, 12mm thick Baltic Birch resonating body develops the sound into a full, punchy tone that projects with clarity and warmth.